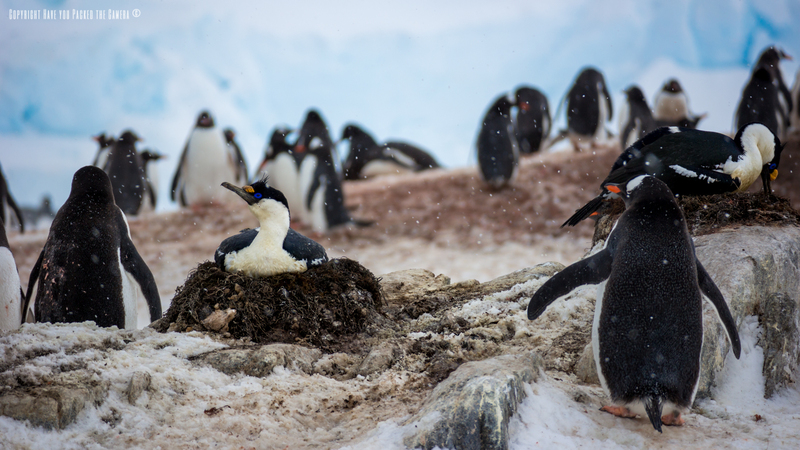 The Antarctic Peninsula is bursting with life; the less harsh conditions, warmer temperature (compared to the interior) and proximity to the ocean mean that animals are able to survive and even thrive during the Antarctic Summer. 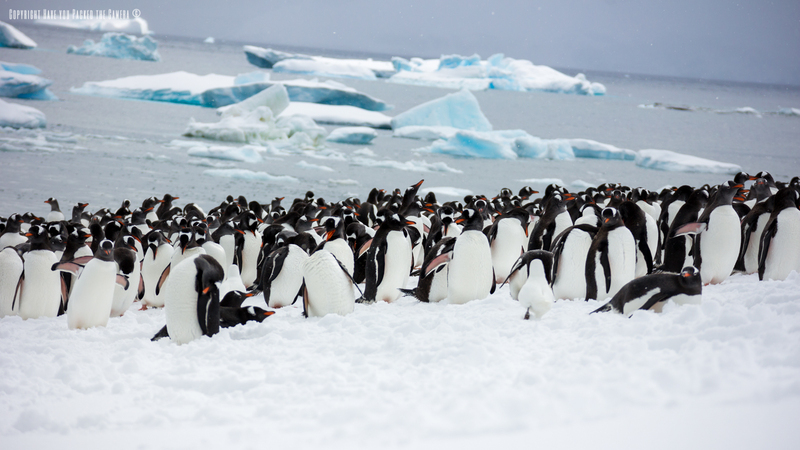 Food is readily available as the oceans swell with Krill and there is plenty of landmass to breed on. 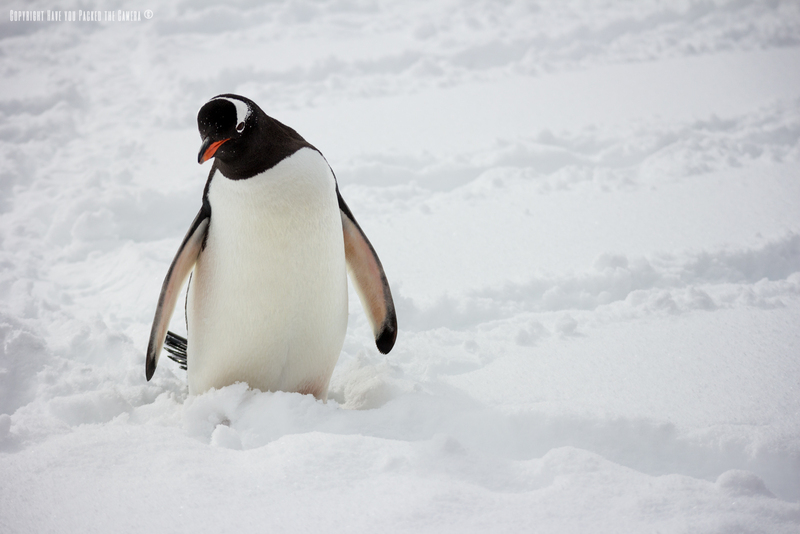 During my trip to Antarctica I witnessed some breathtaking spectacles and was lucky enough to see much of the Antarctic Wildlife - Seals (Crabeater, Weddell, Elephant and Lion), Penguins (Gentoo, Adelie and Chinstrap), Birds (Petrel, Albatross, Sheathbill, Cormorant, Blue Eyed Shag, Skua) and much more. The only animal that still eludes me is the Whale - I have been to Iceland and Antarctica and still not glimpsed this species. 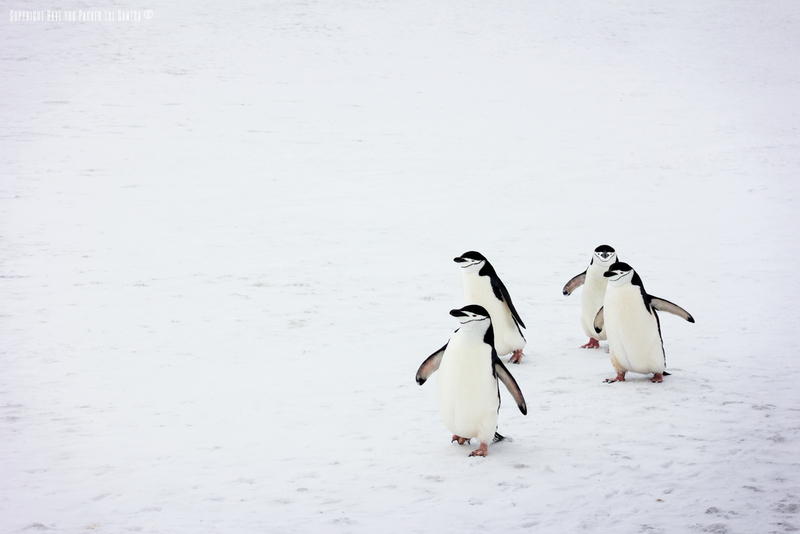 For anyone who has a keen interest in wildlife, Antarctica is just a dream, I much prefer landscapes and scenery but I was captivated by the animals and found myself captivated when observing them. 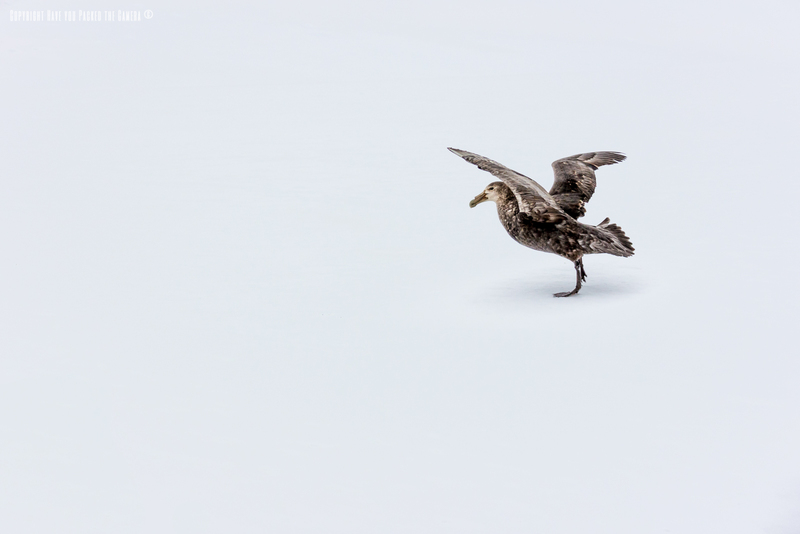 Picking out photos for this essay was quite difficult - I could have included so many, but hopefully the selection below give you a lasting impression of the beautiful wildlife I encountered in Antarctica. 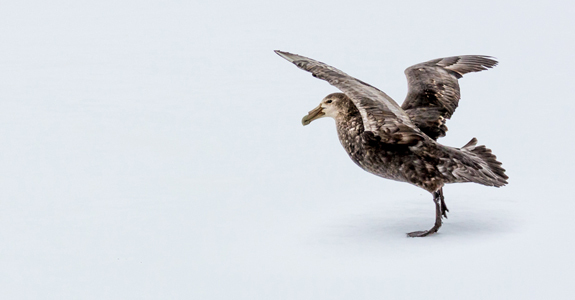 Giant Petrel's are one of the largest birds in the Antarctic save the Wandering Albatross with a wingspan of up to 83 inch; they are scavengers by nature and feed on the carcases of such animals as Seals, Whales and Penguins; they are also aggressive predators. 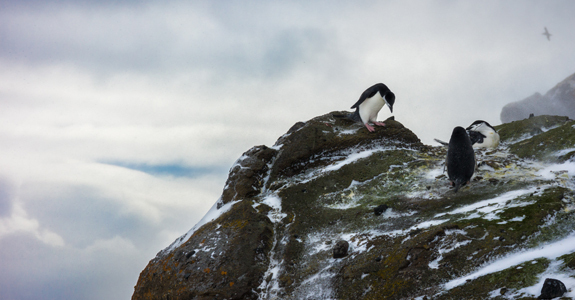 On Barrientos island we saw a group of nesting Petrel's and this particular female had just left her nest. 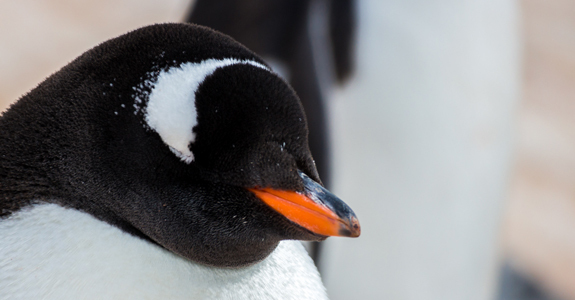 Gentoo Penguins were the most numerous we saw in Antarctica and can be easily identified by the white strips above their eyes and bright Orange beak. 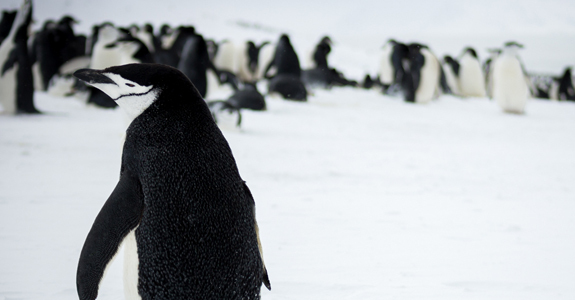 They are the third largest species of Penguin, after the Emperor's and King's. 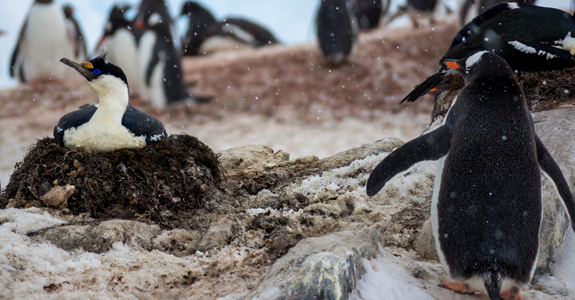 It was fascinating watching the Gentoo's in their natural habitat, they really are interesting creatures; so determined in everything they do, from cleaning their coats to struggling up a hillside to reach their nests. 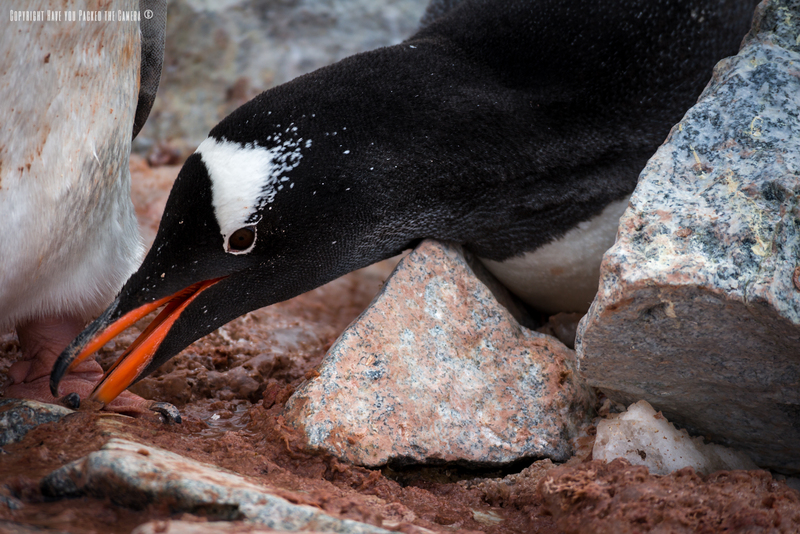 Aside from poop and sleep I saw a wide variety of behaviour from the Gentoo Penguins - The artful porpoise swimming, gathering rocks to build their nests, mating rituals and fighting off snoopy neighbours, it was truly fantastic. 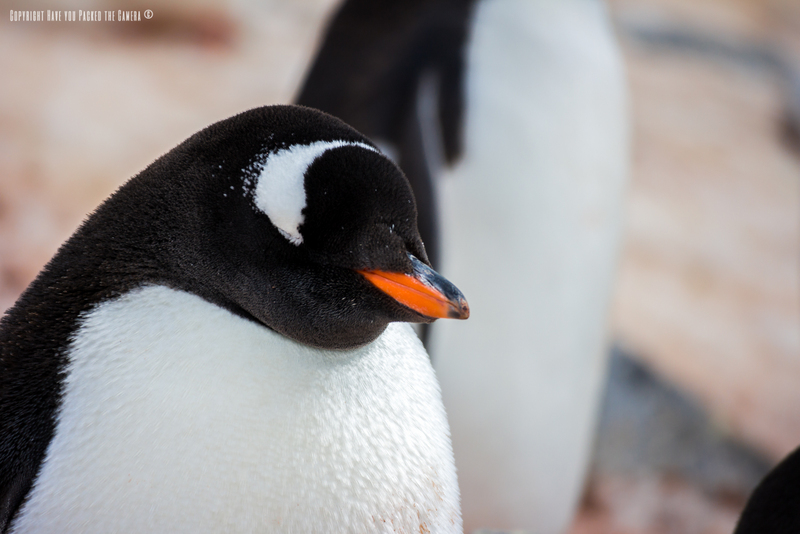 The Gentoo was definitely my favourite Penguin; It was the first Penguin species I encountered in Antarctica, and I got to see a huge amount of Gentoo's arriving back on land at Danco Island which provided a long lasting and once in a lifetime memory. 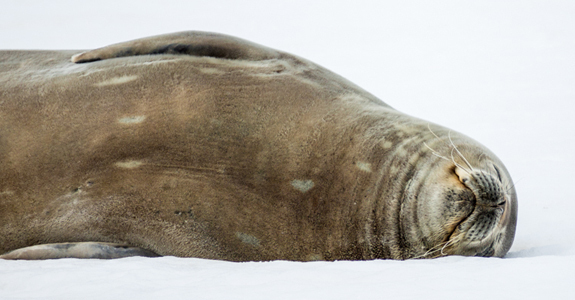 Weddell Seal's are the most numerous "True" Seal in Antarctica with numbers of around 800,000; They are named after the British Sea Captain, James Weddell and live exclusively on the Antarctic continent. 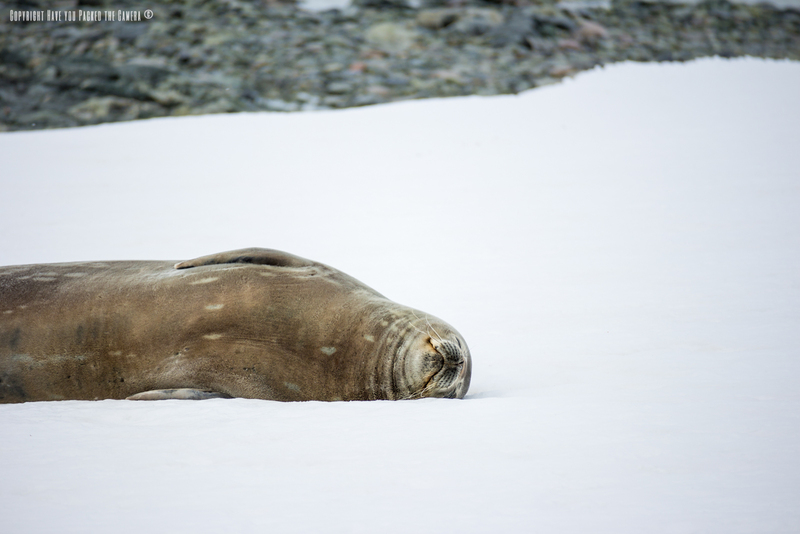 The pose in this photo was common for our encounters with Seal's - they lay on the ice during breeding season in large groups. 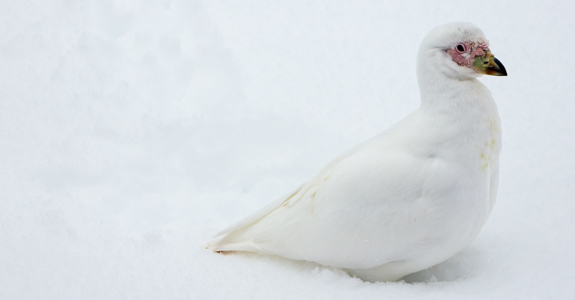 I found the Snowy Sheathbill quite a funny little bird, they dance around Penguins and literally eat their poo! 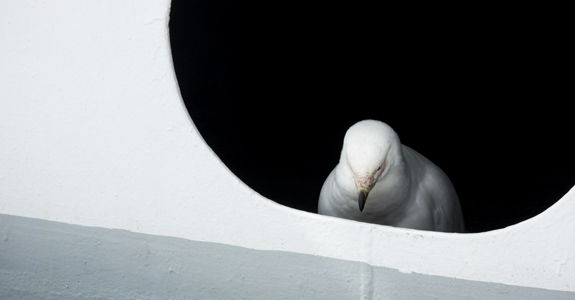 The Snowy Sheathbill is native to Antarctica and has a lovely white plumage, and a contrasting, quite ugly pink warty face. 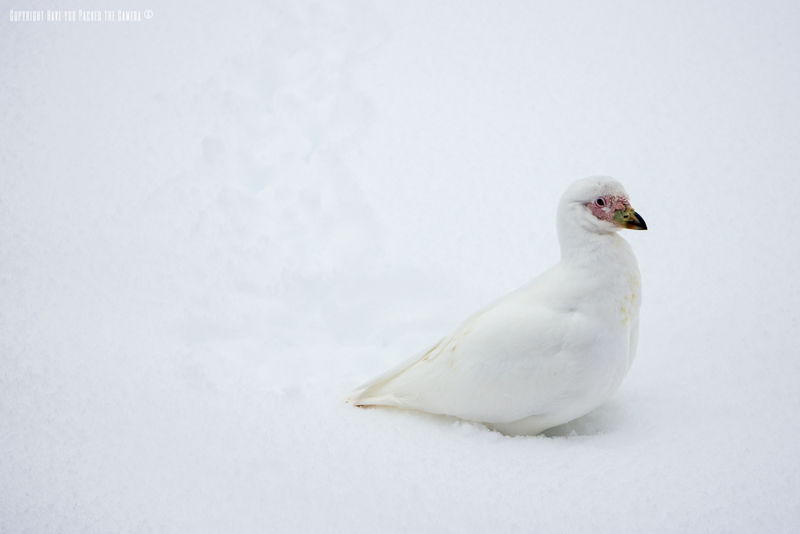 They are opportunistic feeders and basically eat whatever they can to survive. 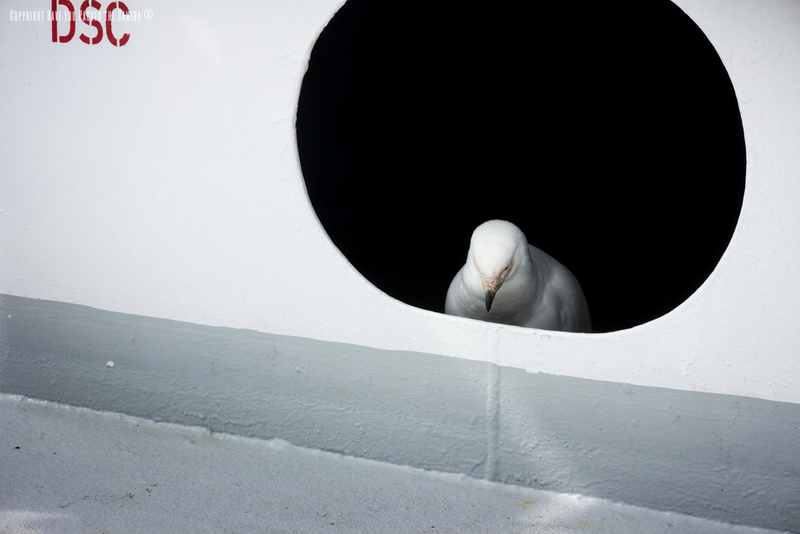 Sheathbills were extremely curious birds - They were not really afraid of humans and we had a pair that spent some time walking around the top deck of the MS Expedition - They would walk up to people, have a nibble on their shoes and then toddle off again back into the air ducts for shelter. 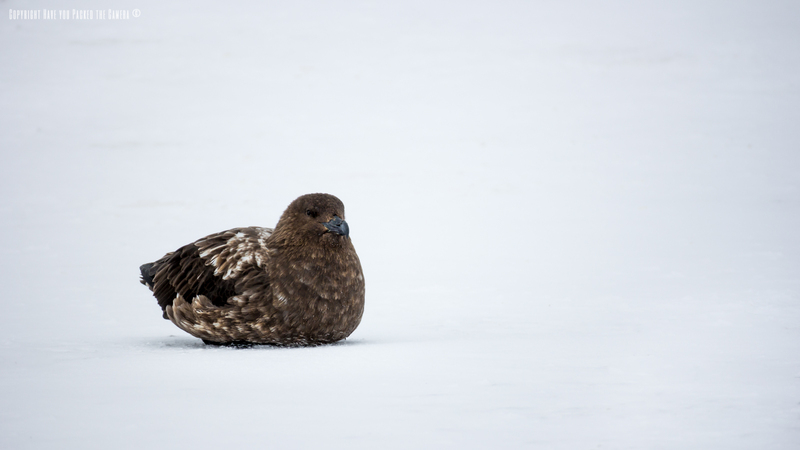 The Brown Skua is a predatory seabird found in the Antarctic regions, they will feed on the remains of Penguins and Seals, but also kill Penguin chicks and steal eggs from rookery nests. 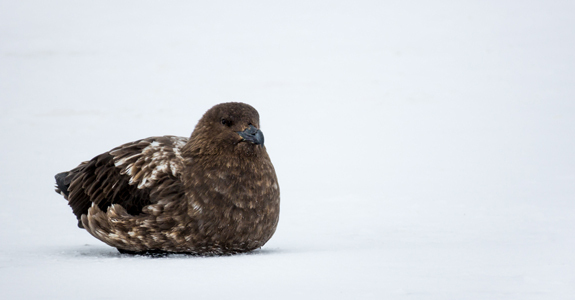 I saw several Skua's feeding on the remains of a Chinstrap Penguin, but was lucky enough not to witness a live kill. 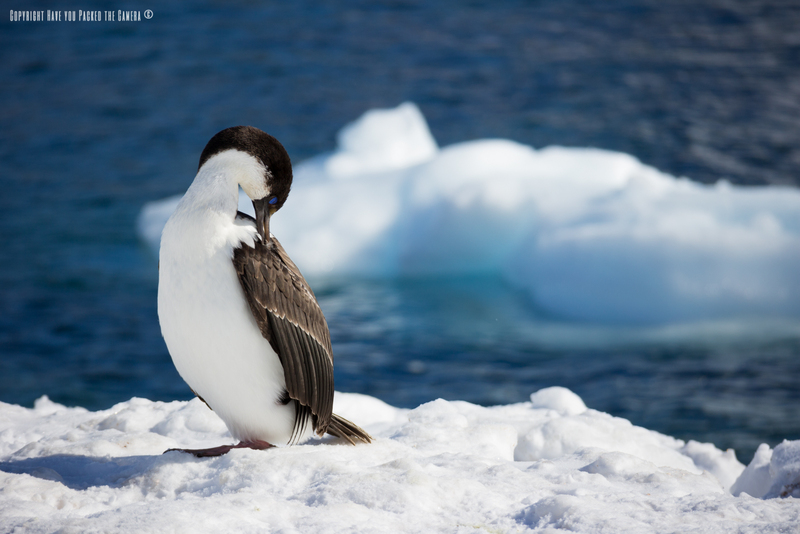 We saw several Blue Eyed Shag's (Or Imperial Shag) both in Ushuaia and Antarctica, this bird can be identified by the bright blue ring around it's eyes. 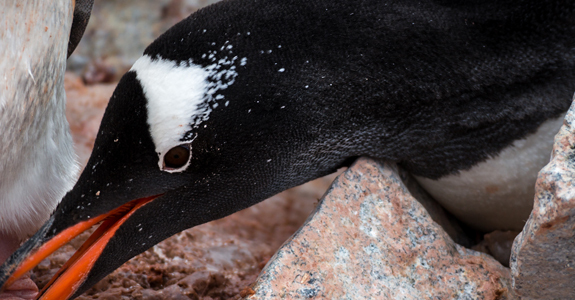 They feed mainly on fish and other ocean life forms like Octopus and Crustaceans. 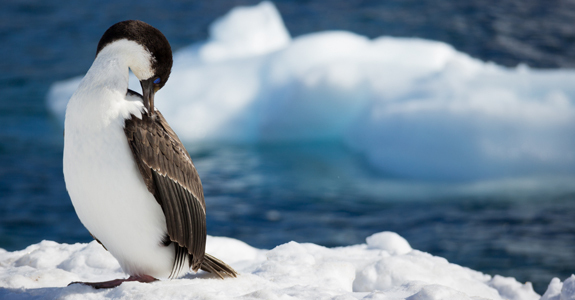 At Joogla Point we were lucky enough to see Blue Eyed Shags nesting in amongst the Gentoo Penguins, it was quite special, particularly when we witnessed the birds returning to their nests and bringing more material to complete them. 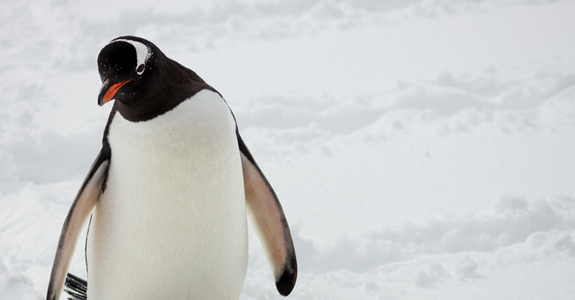 Chinstrap Penguins are very similar to both Gentoo and Adelie but again easy to identify by the black strap underneath its chin and white face. 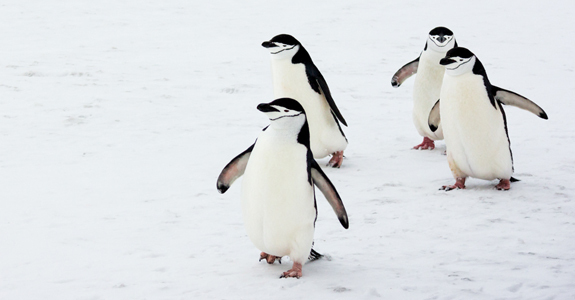 I found the Chinstrap Penguins to be less curious, and they did not readily approach humans as the Gentoo's did, however they were still un-phased by our presence. 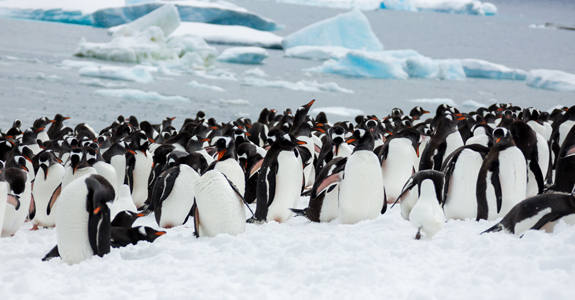 Although I saw Gentoo penguins most frequently, I saw Chinstrap penguins in the greatest amount in one place. 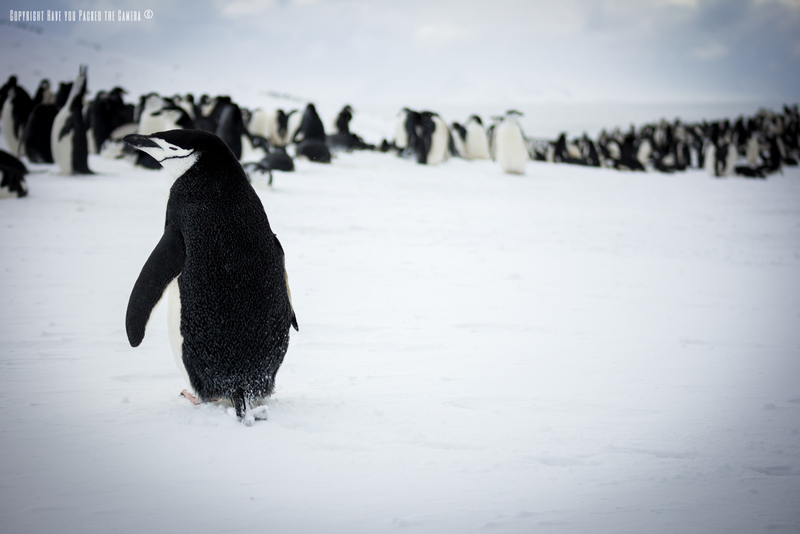 Picture a snow covered mountainous landscape, that beautiful landscape was covered with thousands upon thousands of Chinstrap penguins; it really was a breathtaking sight, the noise and sheer volume of the penguins was staggering. 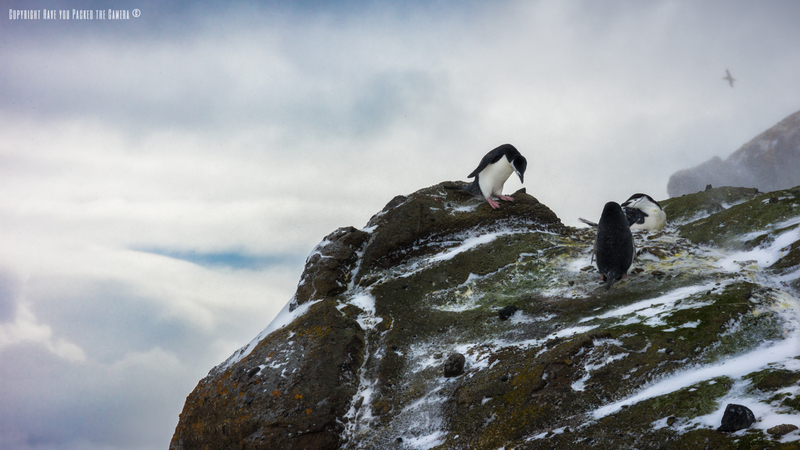 I was quite astounded at the conditions the Chinstraps endured, their nesting sites were often high up on the side of mountains or dangerous rocky outcrops - It was amazing to see their perseverance and determination to reach these places. What is Aim Focus Shoot? 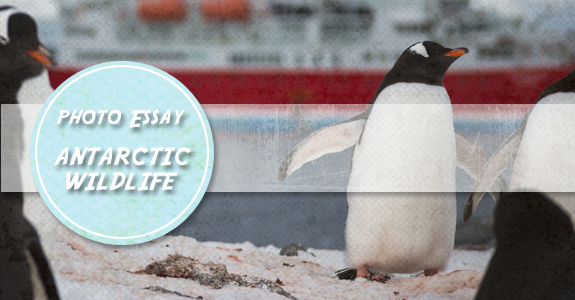 My travel blog! Aside from travel reviews I also maintain a regular blog with different travel & photography articles such as photo essays and memorable moments. Simply click on the "read more" button to read the full article, and use the numbered buttons above to navigate through the pages....Enjoy!